Oggy and the Cockroaches – Season 5 (2017) – What's New on Netflix Canada Today! 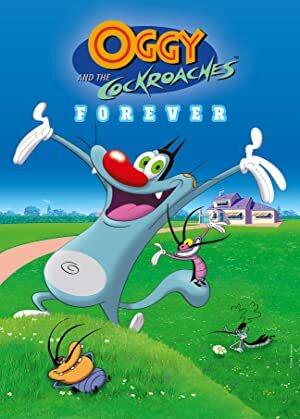 From the makers, and broadcasters of “Space Goofs” (1997), comes the tale of an otherwise contented cat named Oggy, who faces constant harassment by a group of annoying cockroaches. Relying on no dialogue whatsoever, this half-season cartoon operated with semi-silent humor, reminiscent of the original Tom & Jerry cartoons, and the many incarnations of “The Pink Panther Show”.